APP’s ProTek Rods serve as a barrier between a metallic pipe and the metallic support. The ProTek Rod is made out of a durable thermoplastic material. It effectively prevents pipe corrosion by inhibiting a corrosion cell from forming, thus prolonging the life of your piping system. 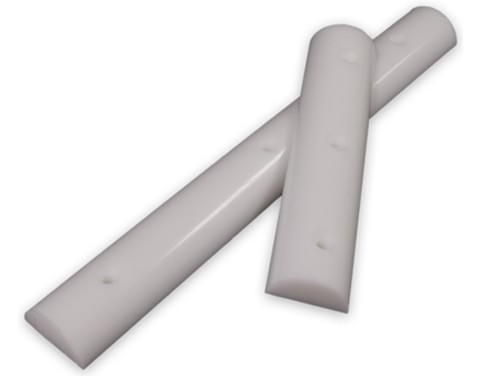 The ProTek Rod isolates the metallic pipe and prevents a corrosion cell from forming. The ProTek Rod is made from an thermoplastic (acetal homopolymer) which has a compressive strength of 15,000 psi, operates in temperatures up to 180° and can be made in a wide variety of lengths. Installation The ProTek Rod is anchored to a structural support with either the ProTek U-bolt or a standard bolt.